Found on sandy substrate and rubble. Small species, which is very cryptic. 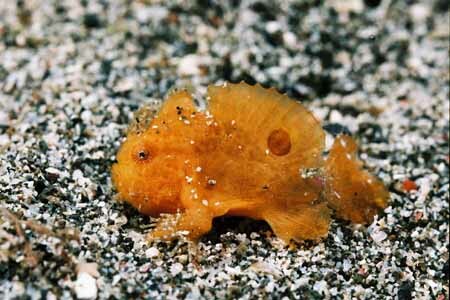 Often hides under rubble, in sponges, among sea weed and in disposed cans and bottles. It is a solitary species, rarely seen in pairs. Colour can be very variable and range from white, yellow to red, brown or black. 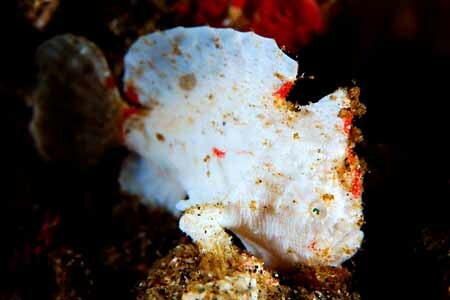 It can be distinguished from other frogfish species by a series of small white spots on its body and long, claw like pectoral fins.